Do your work or leisure activities put you in the media spotlight? Many people have contact with the media – in person, by phone or online – in the course of their duties or extracurricular pursuits. ‘Putting your foot in your mouth’ when talking to the media may be disastrous for you or your organisation so media savvy is an increasingly necessary skill. Experienced in public relations and crisis management, Jonathan Bernstein has written an entertaining, informative book about this subject. 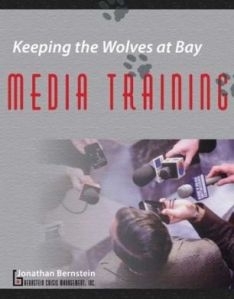 Join me on Friday, 25th June when I will feature an excerpt from Bernstein’s new book, Keeping The Wolves At Bay: Media Training. 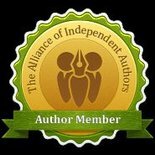 This entry was posted in June 2010 and tagged Jonathan Bernstein, Keeping The Wolves At Bay, media, public speaking. Bookmark the permalink.